PlayIt Recorder is a free audio recorder that lets you record audio manually or schedule it to auto start at a specified point of time. It’s a handy and easy-to-use software that provide nice features to automate and schedule recordings on the fly. You can record any audio that plays on your system using this free audio recorder and save it in MP3 or WAV format. It provides an intuitive interface and interactive scheduler to schedule recording jobs for future. PlayIt Recorder provide easy options to record audio via different recording sources including Microphone, Line In devices, and Sterio Mix. You can record audio files in different quality outputs and set timer to automatically delete old recordings. PlayIt is extremely easy to use, but before I move on to its functioning part, let’s have a look on how you can download and install this free audio recorder on your system. PlayIt Recorder work with almost all versions of Windows and can be downloaded easily from the website using the link given at the end of this article. 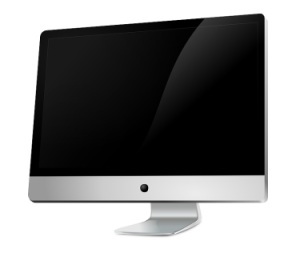 The download will consist of a setup file of size 1.1 MB only, which can be quickly installed in your system following simple instructions that guides you throughout the installation process. Once installed, you need to activate your computer to run PlayIt Recorder. And for that, you need to sign up for free with the software. Once you create a free account on PlayIt, you will receive an activation link on the email address that you provide as a login id for the account. On clicking that link, your computer will be activated to run this free audio recorder. You can then, sign in to PlayIt recorder with your login credentials and run the program on your system. This is a one time process and won’t take much of your time. Once this is done, you are all set to use PlayIt Recorder to record or schedule audio recordings on your system. Using PlayIt Recorder is quite easy. 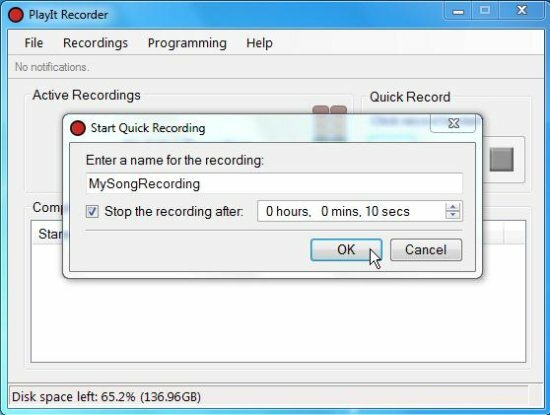 You can do the recordings in two ways: Manually record the audio sound by pressing the “Record” button or schedule recordings to auto-start later. But before you begin recording, you should adjust the Recorder’s settings to choose the default Recording device, recording location, etc. For that, click on the “File” menu from the program interface and choose “Settings” option to open Settings panel. There, you will see various options listed which you can set, like the source recording device, output location to save recordings, and output file type (MP3/WAVE) and quality. Once this is done, you can proceed with the recordings. 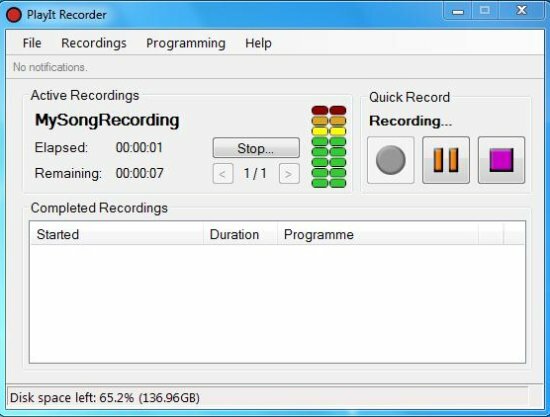 To manually record audio sounds using PlayIt Recorder, you just need to press the “Record” button on the program interface. 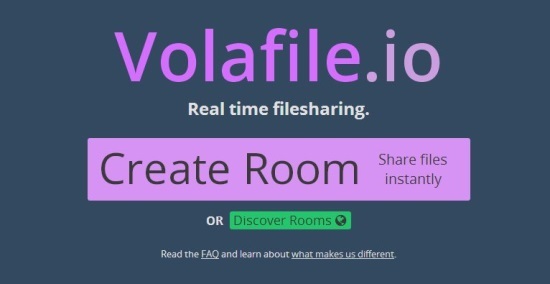 This will show a popup where you need to enter the name of the recording file and the time duration after which the Recorder will automatically stop recording. This is optional, in case you do not want to manually stop the recording. After the recording is finished, the file will be saved to the output location in the specified output format. To schedule recordings, you first need to add programs (recording jobs) to this free audio recorder. Once you add them by name, you can open the Scheduler from the “Programming” menu. Then you can choose any recording job from the added ones and schedule it to auto-start at some later point of time. After you schedule the jobs, you need to start scheduler by choosing “Start Scheduler” option from the “Recordings” menu. 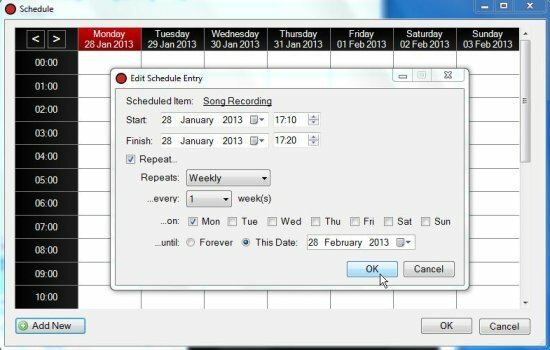 Once this is done, the scheduler will automatically start recordings at the scheduled time and save them to the destination folder. Free Audio Recorder for Windows. Manually stop or auto-stop recording. Schedule recordings to auto-start later. Supported output format: MP3 and WAVE. 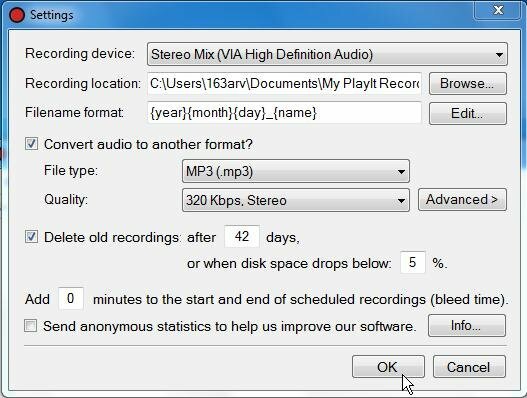 Options to repeat recordings Daily, Weekly, Monthly, or Annually. PlayIt Recorder is a nice, free audio recorder that can record audio through various recording devices in your system. Apart from providing usual audio recording features, it offers special functionality to schedule recordings for future. And that’s the best and unique thing this free audio recorder has. Download now and give it a try! Also check Amolto call recorder for Skype.